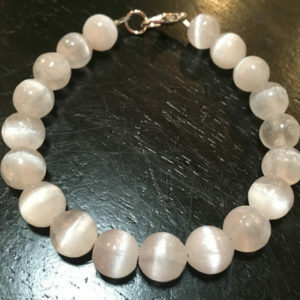 Shop genuine healing selenite bracelets, including the popular stretch beaded stone bracelets. 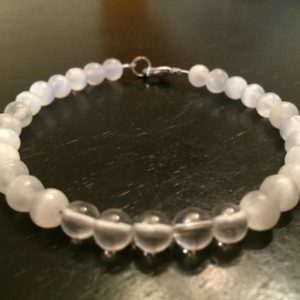 Selenite Bracelet Meaning Selenite is best known for being a clearing & purification crystal. It can be used to clear the aura from negativity or stuck energy, and to clear crystals by placing them on top of a flat piece of selenite. Visit Selenite Meaning & Properties for more about the benefits of selenite. Selenite and Apatite with Copper Bracelet. 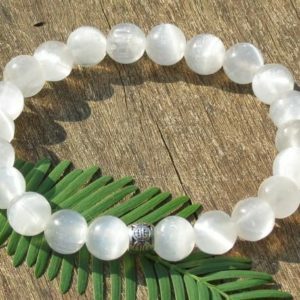 Selenite Moon Goddess Bracelet with Positive Healing Energy! 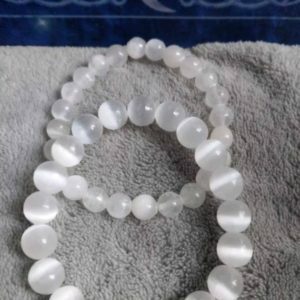 Rare Selenite Round Shprere Gematones with High Grade Kyanite Gemstone Beads. Handmade Beaded Bracelets. Gemstone Beaded Bracelets. 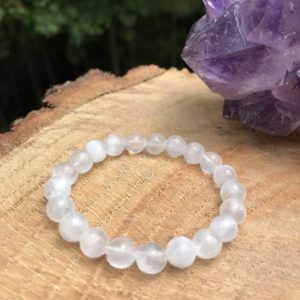 Thank you for shopping for Selenite Bracelets! Selenite healing properties include: intuition, meditation, purification. 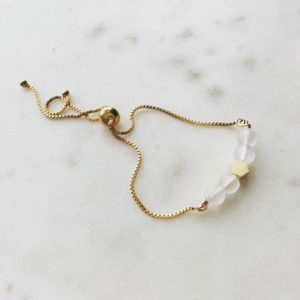 We have scoured Etsy to find the best genuine selenite bracelets. We look for handcrafted & handmade, unique, OOAK, & high quality natural gemstones.